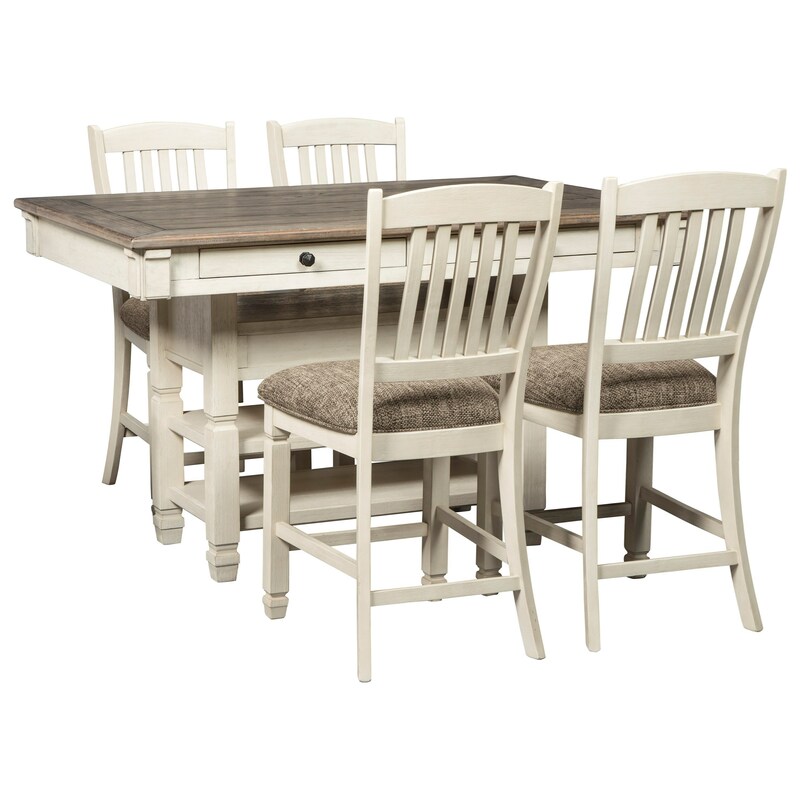 Create a homey vintage atmosphere in your dining room with the addition of this five-piece table and counter stool set. Each bar stool is upholstered with a full length slat back, promising comfort while you make memories with loved ones gathered around this set. The table is at an ideal counter height, and features three open shelves, wine bottle storage, and four convenient drawers for the items you need close by. 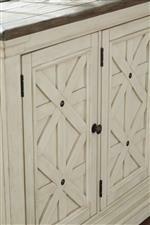 The beautiful two-tone finish will complement your existing decor beautifully. The Bolanburg Relaxed Vintage 5-Piece Counter Table with Wine Storage and Stool Set by Signature Design by Ashley at Miskelly Furniture in the Jackson, Pearl, Madison, Ridgeland, Flowood Mississippi area. Product availability may vary. Contact us for the most current availability on this product.